in the series! 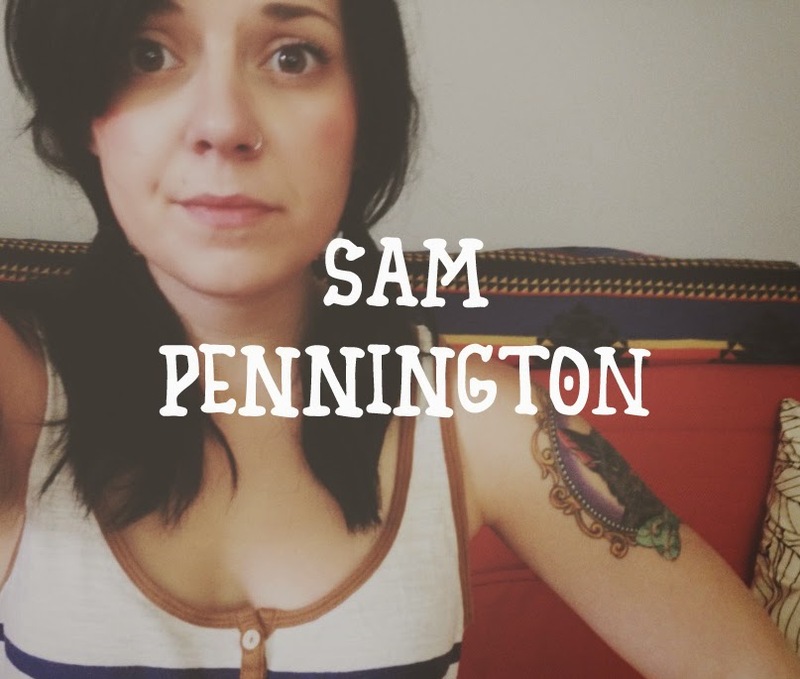 Everyone, meet Sam Pennington, a spontaneous foodie, from Asheville, NC! Sam is a 24 year old Taurean traveler who has graced the presence of the majority of the East coast. She is now actively pursing studies in culinary arts, "...and it's because of its significant spot it has in [her] soul." Sam's spontaneous nature may find her hopping in a car and driving 15+ hours to see Brand New in Oswego, New York, going on a camping trip with friends and grabbing only a hoodie, some sandals, and a bottle of Jameson, or cooking up the most delicious meal after she has thrown the best themed party. She loves the people that surround her and values the relationships she has established over her adventures. Keeping my mind stimulated is something I value very much. It took a great amount of time to understand what made me happy. Living in a city of adventure, great food, and incredible people helped me truly accept what I care so much for in life and how everyday is a new surprise, that's when I stopped planning, and I started living. My patience for books is something I'm still trying to grasp. Some of my favorite films include anything by Wes Anderson, The Coen Brothers, and Quentin Tarantino, Did I mention that I'm a huge fan of Adam Sandler? To this day, Billy Madison can bring out the immature child in me. Food plays a very important role in my life. Culinary arts is something that I'm currently starting to study. Some of my favorite restaurants in Asheville include: Limones, which is this tiny little place off of Eagle Street in downtown with a Margarita Menu that will blow your mind; they also have the best Sea-bass I've ever laid a fork to. Did I mention that they have brunch on Saturdays and Sundays? IT'S THE BEST! On a cozy street, in Montford, you can get your Jamaican spice fix that you're always craving at Nine Mile. Nine Mile serves everything at every temperature from noodles to rice, or if you have issues with gluten, like myself, zucchini noodles, yup. One last place I must mention is The Admiral in West Asheville, if you're looking for a creative dish that will make your jaw drop and you're not even sure how to pronounce what you're devouring then this is your place. They make their own ginger beer for Dark & Stormy's, yes, they do. My style is all over the place. Vintage closets featuring mod to disco apparel with a little kindergarten cop thrown in. Not following me? It's hard for myself to comprehend the platform tennis shoes, sequence shawls, and over-sized bows in my hair too. Asheville is a great spot for local vintage finds, and I'm a sucker for a good deal. I am passionate about my relationships with my friends and family. I have been fortunate to meet and keep a family of friends throughout my life, and that, I would literally do anything for. I love throwing birthday parties, cooking, and being there to bring moments of happiness to those around me. I'm most passionate about sharing my positive and happy lifestyle with other people. I have a group of girls that have been in my life for nearly ten years now, though I've made new friends along the way, it's crazy to see how all of our lives are scattered America, even South Korea (Welcome Home Bri & Adam!! ), and somehow we continue to not lose touch. 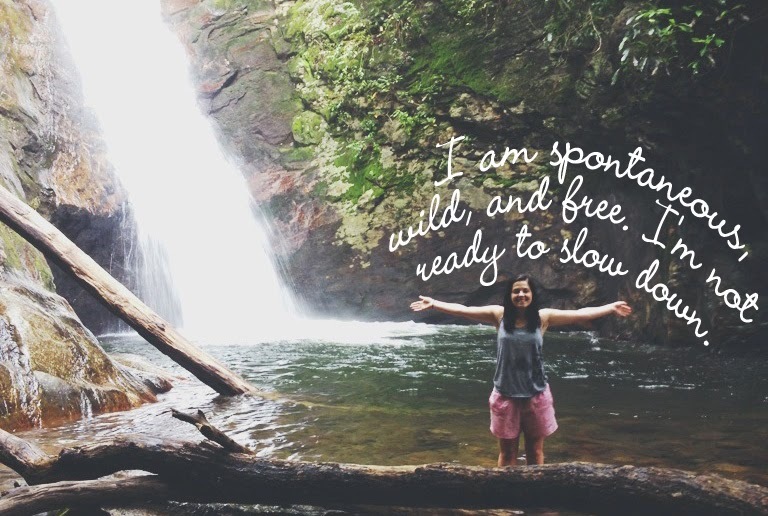 My life is wild and free, anyone that knows me will tell you that. Tomorrow may change everything, but today, I am living free. This Taurean wanderer desires nothing more than to live in colorful surroundings, where she understands that change is the only constant, and that life is meant to be lived. Not ordered around by things that do not bring happiness to her life.